With the use of best resources, we manufacture and provide high quality range of Scaffolding Spare which is available in wide assortments. 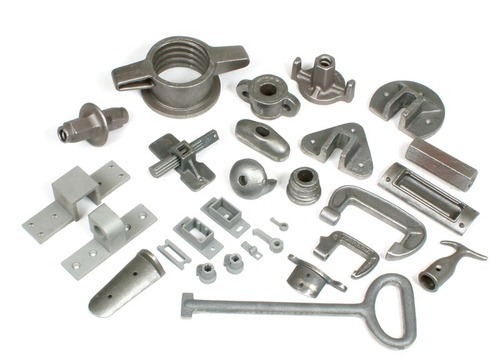 These metals products are provided in best sizes and specifications for several industrial and fitting applications. We understand our clients demand and provide them the most sustainable varieties of products at the profitable price range. Incepted in the year 2014,New Meru Impex is a prominent entity betrothed in the area of manufacturing, exporting, trading, importing and supplying a broad spectrum of Steel Products. The factory material used in their production procedure is sourced from trusted vendors of the industry subsequent to strict quality checks. Some of the products manufactured by us include Round Bars, Industrial Flanges, Industrial Pipes, Stainless Steel Fasteners, Stainless Steel Square Rods, Stainless Steel Angle, Stainless Steel Tubes, Metal Wires, Nickel and Copper Alloy Strip, Refractory Anchors, Inconel Products, Monel Products, Hastelloy Product, Stainless Steel Clamps, Fasteners Products, Industrial Bolts, Industrial Fitting and Industrial Nuts to our customers in numerous sizes, dimensions and specifications. In compliance with the standards and guidelines laid down by the global market, these offered products are enormously appreciated owing to their superior finish, dimensional accuracy and corrosion resistance. Additionally, our facility of customizing these products as per our customers’ needs and necessities have gifted us immense reputation in the market.